Have You Heard About T.H.E.M.? No, we're not talking about a science fiction film from the 1950's! The Household Endowment Model® is our own institutional-style wealth management platform developed exclusively for well-qualified investors with the objective of delivering excess risk-adjusted returns. Learn about The Household Endowment Model®. Ask yourself this question. When I die, who do I want to leave my estate to?The government?Charity?Loved Ones?Life insurance is a way to leverage that situation. Securities offered through Center Street Securities, Inc. (CSS), a Registered Broker-Dealer and Member FINRA, SIPC. 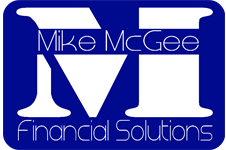 Mike McGee Financial Solutions, LLC is independent of Center Street Securities. Please be advised that Michael McGee holds FINRA Series 7 and Series 63 in the States of Missouri, Arkansas, Oklahoma, and Mississippi. Life & Health licenses in Missouri(0166121). NPN=7092273. For residents of other states in which registration is not held, proper licenses and registrations must be obtained by Michael McGee before proceeding further. ForNo part of this communication should be construed as an offer to sell any security or provide investment advice or recommendation. Securities offered through Center Street Securities, Inc. will fluctuate in value and are subject to investment risks including possible loss of principal.